I invented this recipe to use up some leftovers from a Seitan Roast. Not one to waste food, I turned them into meatballs. I didn't realize I was creating a new delicious recipe at the time, but my oh my, it has become another regular meal at my house.. 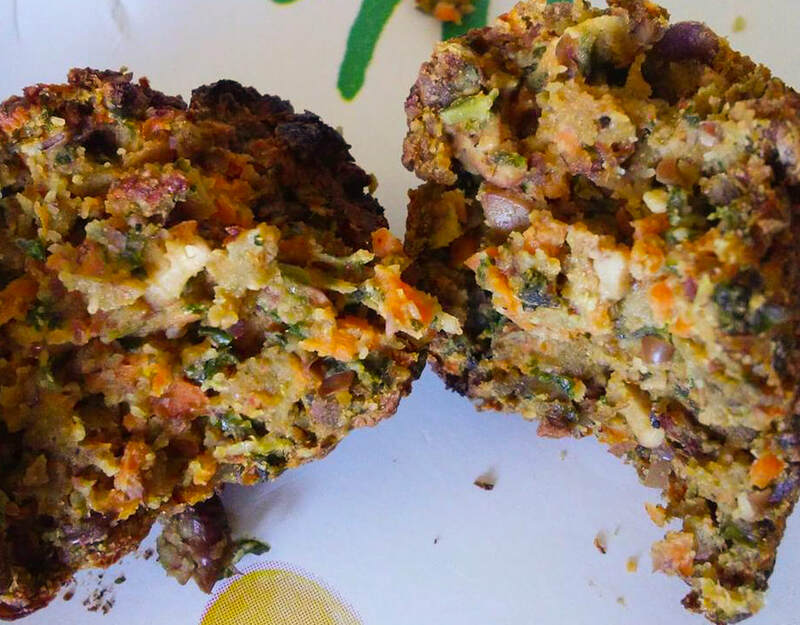 Individually pulse until in crumbly pieces the seitan, onion, carrot, kale, soybeans. Do not over process, just a couple pulses usually does the trick. Put each in bowl when chopped, then add the rest of the ingredients adding a couple T of water at a time until you can form it into balls. 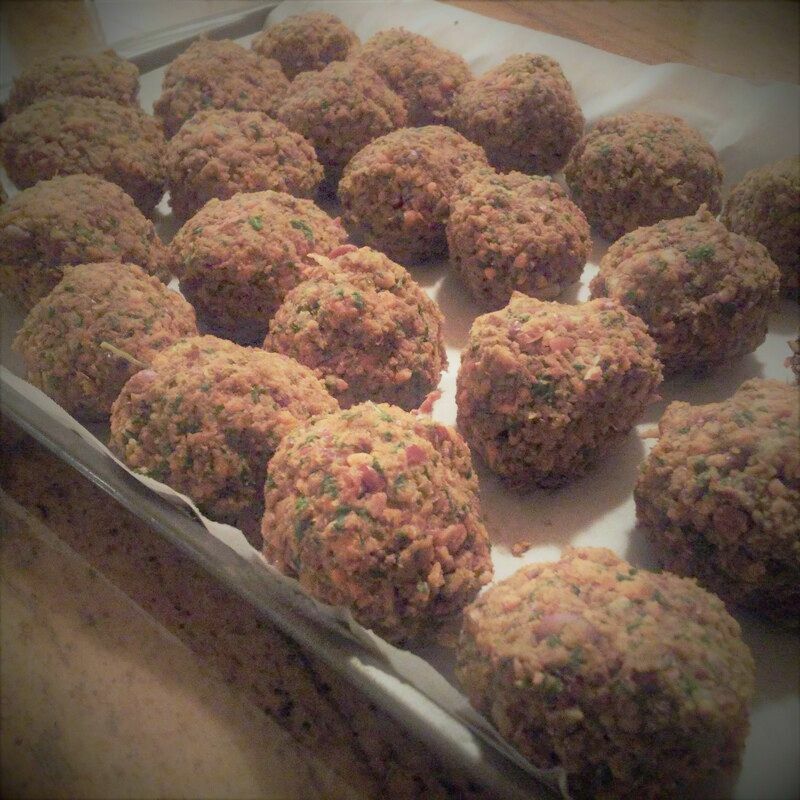 Put balls onto parchment paper on flat cookie sheet. This makes 20-25 ping pong size balls. Freeze until firm. Then you can put in freezer bag, and freeze until needed. Pull out however many you want at a time. These work great in the air fryer for 20-25 min at 400 degrees shaking once. I like them in a wrap with a little vegan mayo, or bbq sauce. They are only about 70 calories each. I hope you like them as much as I do!